What is to say that one sedan is better than another? The available features? The handling and drivetrain? The model year? The color? There are so many different variables and it is easy to see why so many drivers have a hard time picking a new sedan for themselves and/or their family! If you or someone you know has settled for certain make or model just because they were sick of shopping for cars, it’s a shame because they could have gotten a 2015 Toyota Avalon Brampton ON for a great price, and they could also take satisfaction knowing that Toyota is one of the most trusted names in the automotive game. The 2015 Toyota Avalon Brampton ON is a well-equipped full-size sedan with a ton of great features for all drivers including a rearview backup camera, three-zone climate control and predictive traffic, which helps drivers avoid traffic jams prior to getting stuck in one. See all of the models and colors of Avalon’s we have today at Attrell Toyota! As a member of the full-size sedan segment, the 2015 Toyota Avalon is one of those you can’t beat, no matter how hard you try. It has a starting MSRP of $32,285 and gets up to 21/31 MPG, making it extremely efficient and affordable! 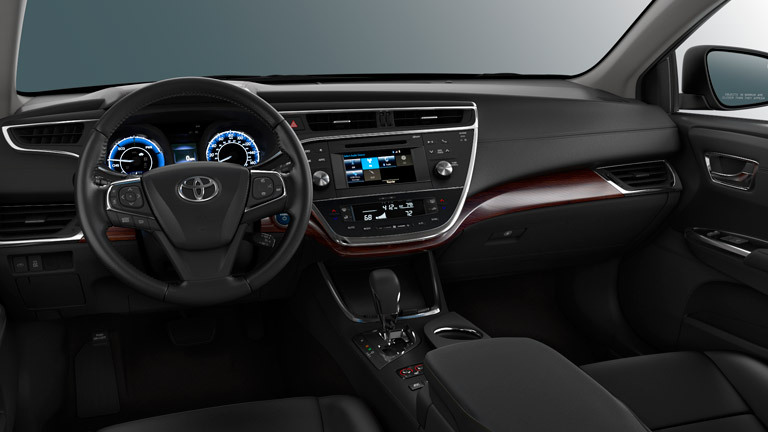 The 2015 Avalon comes in nine different colors, eight models including hybrid, While all of these options may seem a little overwhelming all at once, it is neat to note that this vehicle actually has all of the features it does because it makes it an all-in-one command center for any driver. The 2015 Toyota Avalon comes with available leather heated seats, which is just another way Toyota is making everyday drivers feel like royalty. Get the 2015 Toyota Avalon Brampton ON today at Attrell Toyota! The 2015 Toyota Avalon can be outfitted to contain any number of features and amenities, including rain-sensing windshield wipers that detect how heavily and quickly the rain is coming down and will automatically adjust to the correct speed, as well as a more aerodynamic construction that creates very little drag and resistance. The 2015 Avalon fits up to five adults comfortably and with its advanced 10-airbag safety system, everyone remains protected at all times. The trunk in the 2015 Toyota Avalon can fit up to 16 cubic feet of cargo volume and comes standard with a Smart Key system. 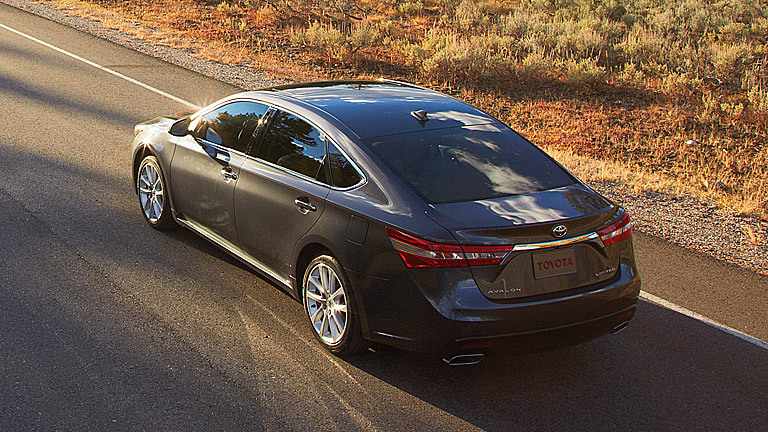 You can set up a test drive of the new model year Avalon today by calling our friendly sales professionals!